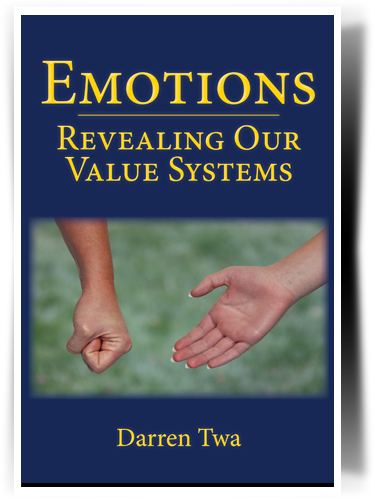 Emotions: Revealing Our Value Systems is a practical look at emotions from the perspective of heart values. Many people are driven by their emotions, making life decisions without carefully examining the deeper spiritual issues behind them. By understanding the three aspects of value system that produce our desires, we can improve our relationships and make decisions based on true spirituality. Emotions powerfully affect our lives. We feel them especially deeply during the relational turning points of our lives: marriage, the birth of a child, a death. They are present with our greatest joys and sorrows. Our relationships can be improved by discovering the proper use of emotions and by using our emotions to understand our desires and values. Better relationships begin with permanent change flowing from a loving heart. Once we understand our own values, we can communicate our deepest desires and understand those of the ones we love. Learn the purpose of emotions along with explanations of what produces our most common emotional experiences, both positive and negative. Gain help for your personal, spiritual, and relational growth.